Intergroup – November 2013 – Lincoln Nebraska A.A. The AA Traditions were read by: Ernie S.
Thank you to the group that contributed this month! – Need Spanish speaking AA women for help line. Craig will ask someone at St. Paul’s noon meeting if she would be on call list. – Need Spanish speaking AA women for helpline. – Will need to nominate officers at November meeting and elect in December for 2014. Will look at past minutes to find out how long everyone has had posts since Dru was secretary. (City/County Jails) – Joe G. & Jordan T. AA meetings at the new jail on West O Street are up and running. The jail has issued a new policy that all evening AA meetings must now be after 8:00 p.m. There are, however, times available in the afternoons. Brian C. reports that he and two other volunteers are going in on Tuesday nights and that meeting is going well. (CCCL) – Tom E. The men’s in-house Twelve Step study on Tuesday nights continues to go well. Attendance is up, with a solid core of regulars. (RTC) – Bill O. Attendance is up at the Saturday night meeting. There are currently three volunteers taking the meeting into the facility; a fourth may soon join the ranks. (D&E) – Bill O. The Wednesday night meeting is going well. No word on the Monday night meeting. (Old Business) – Ron R. continues to be in correspondence with an inmate at LCC. A revision to the budget the Corrections Committee submitted last month. In our estimated expenses for 2014, we forgot to include the $60.00 we spend on our annual rent. Thus, our expenses for 2014 are $715.00 rather than $655.00. Eric A. will be the new committee chairperson. Tom E. is re-elected as treasurer and librarian. Joe G. is re-elected as secretary. **New sheets were passed out in November. Please take these to groups and get them filled out and return them to Brian C. at Intergroup in December. These sheets will cover the months of January, February, March. A note from the treasurer – the money will be used for NOT FOR PROFIT treatment centers, and ONLY to purchase literature. – The Grapevine group has pledge up to $200 for people needing tickets. – They will need help with decorating closer to the event. Contact Bill or Sandra R. if you are interested. **Request from IR that someone from Special Events be present at Intergroup to bring a report of what is going on, so people can be informed. Meeting closed at 7:14 p.m. and we all gathered for the Serenity Prayer. The next meeting is Friday, December 27 @ 6:30 p.m. @ Willard Community Center-1245 S. Folsom St.
– Bernice met with 3 men, none of whom are in recovery. 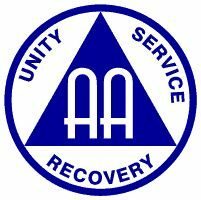 They spoked about AA and the Big Book. She left the copy she brought with one of them. She said we could try to get some guys to come out and talk with them more. We would like to see if we can get District 29 involved with this (Since that is the district the care center is in). Bernice will bring it up at Life Preservers Meeting. – An old independent center counselor is now at UNL (Bernice works near him). They are now doing evals at UNL. Bernice will check with him and see how that is all working and whether or not we can be of any help, even just by providing literature. – Budget was presented at Intergroup in October. Update next month on if it was approved.